Then this post is for you… maybe just for you… even though it’s true for all of us. Some days the ideas for what to post on this blog flow almost faster than I can type them. Sometimes I have several ideas ready to share with you. Then there are days like today… when I wonder if I’ll even be able to come up with something to say. On days like these, I often breathe a prayer and ask the Lord to give me a little extra help. I don’t hear an audible voice. There is no mystical handwriting on the wall. But there is sometimes… like today… a gentle nudge inside, a general sense as to a topic or some words I should write… for someone… for you. Instead, He has increased His efforts to reach out to you… to comfort you… to let you know how much He loves you… to bring back the hope and the joy and the passion and the faith you once had… that you can have again. You don’t have to wonder where He is or if He cares about you. He’s right there with you, and He loves you like crazy. Let Him wrap His arms of comfort around you like the soft folds of your favorite blanket on a cold winter day… even if you’re a man, and you think this all sounds a little too soft and gushy. 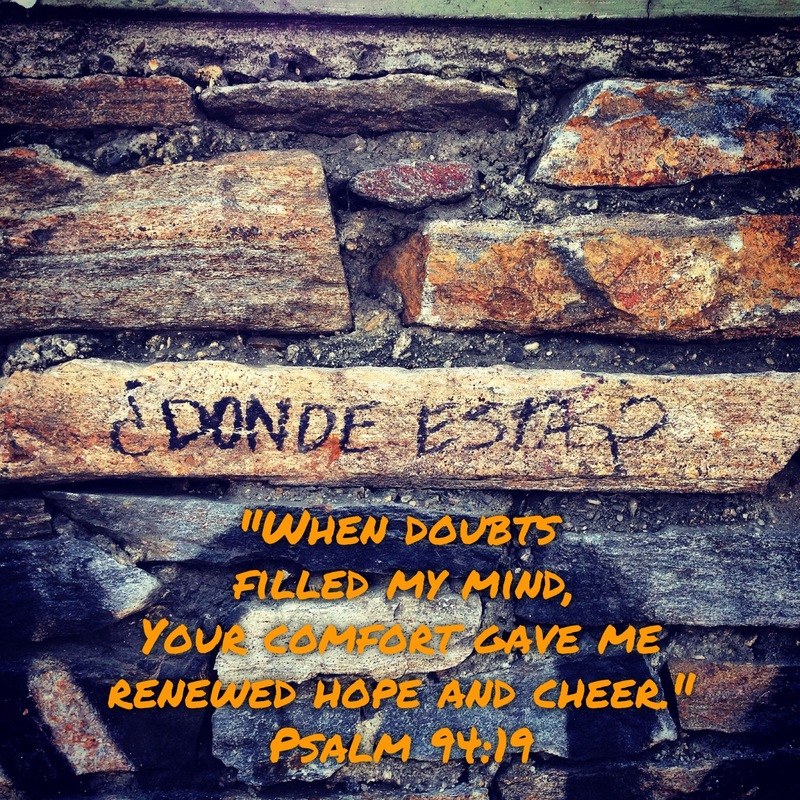 In the depths of your soul, you have longed for this comfort… this hope… this cheer. Drop the bravado and drink in all God has to offer you right now. You won’t regret it. I’m kind of glad now that I didn’t really have anything to write today. And I hope you are as well!